The is no relationship in the world like the one you have with your mother. Sometimes, she is your best friend, sometimes your enemy but usually somewhere in between. My mom was the person who was there for me at my worst and she was the person I celebrated with me at my best. My mother was everything to me. I miss her and losing her was the absolute worst thing to ever happen to me. And that is saying a lot, because I have been through a whole lot. Nothing in the world could compare to the day I realized I could no longer lie in her arms and that is one I will never forget. With every single day that passes, I miss her more than the day before. With every new beginning and ending, every milestone for my children and me, I desperately crave for her love, encouragement and her support. There is no one that can ever replace her. And with each day, I try to pick up the pieces of my life without her. For once, my life is where it is should be. I am happier than I have ever been. I am doing well in both my writing and legal careers. My kids are doing great and they are happy and healthy. And I have let go of people who made my happiness harder. But some days, I feel alone without my mother and that feeling is the most devastating in the world. I know that there are so many others who live with this same pain and so many more who will. I know my mother lives inside me. After all, she raised me to be the woman I am today. And while sometimes, I wish I wasn’t walking alone, I know that I am doing fine and she is looking down on me with pride. She may not agree with all my choices, but she knows I am strong, resilient, and smart and that I will always do the right thing. And even though she is not here to support me and cheer me, she is still my biggest fan. She still has a front row to my accomplishments. She is further away but she is still with me. I am lucky to have my mother for as long as I did. And missing her is hard and sometimes, it takes all I have when things get to tough to move forward without her. But I do it every single day and despite how much I miss her and how much I ache inside for her presence. If you are lucky enough to have your mom still around, don’t take it for granted. Call her, visit her, pick up the phone when she calls, listen to her, and remind her how important she is too you. You won’t know how truly blessed you are to have her around until she is gone. Don’t take her for granted today because tomorrow might be too late. Pleasing others brings a lot of anxiety to person’s life and impacts a person’s life significantly. I know because I have been there – sometimes, I am still there. Trying to please others forces one to sacrifice their own happiness. I am not sure when I started basing my life’s choices around what I perceived others wanted from me but it is safe to say; I did it for too long. As a result, people took advantage of me and I let them. I let them think it was okay to place heavy burdens on me, to take care of everyone but not myself, to consider their happiness over mine or to worry about how my choices affected them. I made choices based on what others (especially family) would approve of and in the end, I suffered more than anyone else. I let people take advantage of me because they always did. I let them treat me badly because they always did. I let them place heavy responsibilities on me because they always did. I made decisions in my life based on how it affected them because I always did. I apologized for every thing; even when I knew it damn well wasn’t my fault. I did it to avoid disagreement or to make others happy. Or maybe, I thought my disagreement wasn’t important. I swallowed my pride for too many reasons and let others be right even if they were hurting me. Sometimes, I let people hurt me and then blame me even it clearly wasn’t my fault. I never said “no,” because I didn’t want to disappoint anyone. I held on to my own mistakes and I analyzed them over and over thinking about what I could have done differently or what other options there were. I allowed myself to get hurt so others wouldn’t. I was made to feel selfish when I tried to do or think about what was best for me. I held on to relationships that weren’t fulfilling my life – again, in the name of pleasing others. I needed approval and I didn’t always feel like I was enough – for others, for God, and even myself. While I was always there for everyone, I was bearing my burdens alone. The people whose feelings I was concerned with or who I continually was there for were not there for me. I stood alone and I continue to. Mostly because I didn’t trust them because of how often/much they hurt me and how they took full advantage of me. Anytime they hurt me, they placed the blame on me so hence, you can see how I became a people pleaser – for so long and to my detriment. The one person in my life who I knew I could rely on no matter what is gone. I miss my mom in a way that words cannot express. But I put up with so much from so many people because of my love for her. But she is gone and I can’t be the person I used to be or the person I thought she expected me to be. I can’t. I refuse. But for her, I forgive, but I am not forgetting or allowing myself to get hurt ever again. It has taken a lot of soul searching and a whole lot of tears over the past year, and counseling over the past few years. But I am learning it is okay to make myself happy, that I matter too, and it is okay to not care what others think of me or my choices, and that I can think of myself and not base my decisions on how it affect other people. I used to think that getting away from people pleasing meant simply doing my own thing. And I have done that – whatever I feel like doing, whenever I feel like doing it, and with no regard for how it affects others (except the people that actually matter). But there is more to it than that. The people pleasing habit doesn’t just disappear. It nags at you. But you have learn to fight the feelings. And trying to fight it makes you angry – at the world, at loved ones, at the very people who you tried to please and at yourself for allowing this and putting your needs on hold. It has taken a lot of work and a lot of distance from people who don’t understand the burden they placed on me for so long to be okay with not making everyone happy and seek out my own happiness. And they have hurt me. They just don’t get it or even see that. They blame me and I accept that because I cannot control how anyone feels. But I can’t continue to sacrifice myself in the name of acceptance. I am learning to trust in myself, my faith, and in the Almighty as I learn to face my life on my own terms and that involves keeping my distance from certain people – people who for someone reason are yet to figure out, I need to lead a present and perhaps long journey on my own. And I don’t know for how long. It is for however long it takes. I am taking responsibility for what is mine, what I deserve and what makes me truly happy. And for the first time in a long time, I am happy and I won’t apologize for that. It takes a lot of courage to stop thinking we have to fix everyone else’s issues and prioritize ourselves. And that is not selfishness. It is strength. I am learning to love myself – something I have was not able to do in the past. I am learning to feel enough – for myself, for God and the people that truly matter – my kids. Once upon a time, I didn’t have the ability to make my own choices, but I do now. I can and I will. And I get that upsets people, leaves them behind and makes them worry about how it affects them. But it is not about them. It is about me. For once – it is about me. It never was before. But now it is. I got too old to worry about how my choices affected everyone else. I am making my choices based on how they affect me. Taking back control of my life is motivating. It has allowed me to genuinely love and care for the people that truly matter. Healing is not 100% here, but I am getting there. And for now, it is enough. But I am not looking back. I can’t and I am not sorry. I am living my life as I see fit and holding true to the title of this blog. I am always amazed at the strength of women who walk away from situations that aren’t good for them or make them unhappy. Like so many, I have been there. But there are women who stay. We cannot force them to leave. We can only hope and pray they can see the infinite potential they have to find their own happiness. I don’t stay. I walk away because I know my potential and self-worth. The moment you realize your self-worth, it is amazing and priceless. Anytime I have questioned my circumstances, I knew something had to change. Whether it is a job, a city, or people, even if it’s family. I can’t stay in situations that hold me back or that are unfulfilling. I have tried to wait for situations to get better. I have pretended to be happy. I have questioned whether I could leave. But all these things were indicators that I should leave certain situations and relationships. I was tired and defeated and resentful. I had given my power to others and I was unhappy. I sought help from professionals and friends on dealing with specific situations that caused me anxiety and the reasons and people for them. I was tired of giving more than I had to give in to many of my relationships and feeling like I didn’t get enough back. I wanted to smile and laugh again. I was tired of being sad all the time. The stress was overwhelming and the hurt was too much. One day, the universe forced my hand. It was time to move on and I found my strength. I was the only one holding me back. I had to believe I was enough. And yes, I was afraid of the aftermath. I still am, but I refuse to give control of my life and happiness to others. I am no longer angry or resentful. I picked myself and found the courage to believe in myself. I am strong and I will survive on my own terms and with the people I want in my life. The person I was before was weak. She let others determine her happiness and self-worth. She didn’t feel enough for herself, for God, for love and at most relationships in her life. I wanted to live my life without fear and without the expectations of others. I wanted to feel joy and passion and for the first in my life, I am feeling just that. And it took leaving people behind that were holding me back. Happiness found me because I choose be unconditionally happy and not allow people back in my life who expected me to live my life on their terms. For all the amazing ladies out there, I hope you find the strength and the courage to live your life joyfully. I hope you can feel worthy and breathe freely and I hope you never look back. I hope you feel enough and loved. Because happiness and freedom from others’ expectations is the best feeling the world and I have no intention of ever feeling differently again. Life is a persistent (sometimes mean) teacher so I have learned this year. We are getting close to the end of another year and it has been a difficult one. My life has been shaken up this year, and over the past couple of years, there have been events that have surprised and changed me, and hit me when I least expected. We lost Mom this past August. I thought losing my brother was hard but losing Mom came so unexpected it shook me to my core and made me question everything and everyone in my life. After her funeral, I didn’t cry for a month. The tears wouldn’t come and I was numb. But once they did, they brought back my old friend depression with them. I struggled for months to accept Mom being gone; I was shell-shocked. The tears have finally started to dry and the depression has lessened. I miss her and it likes a lot of effort to not be able to pick up the phone and call her, and just show up at her place. My boys miss her too, and they, too, have struggled with losing her. While we have all struggled to accept this loss, we were trying to embrace the impermanency of life and the changes that come along the way. My mother and I didn’t always see eye-to-eye, but she was my mother and I loved her and would have done anything for her. I get my strength, determination, and willpower from her, and losing her brought with it fear, loneliness, anxiety and much sadness. For almost 41 years, my mother was the one constant in my life. She was always there for me. Friends have come and gone, two divorces, my health issues, and so many life changes. But she was always there! She was my rock, my strength and the person who held me up when I didn’t think I could go on. But I also held her up. I would have done anything for her. I am strong because of her. I am strong because I watched her strength all my life. I know I can still be strong without her. I just wish I didn’t have to be. I don’t know who I am now that Mom is gone. I still am her daughter, but her not being around changes what that feels like. It feels that all I am now is my children’s mother and I feel so lost in that role without Mom. She was my rock when life threw hurdles at me, and my rock is now gone. Granted, I always took care of myself and my kids without any help, but I did that because she was here. I knew that no matter went wrong, I would have her. Now, I struggle with the idea that it is really “me and my kids against the world.” But we are okay. We have been and we always will be. It is just a matter of my accepting that while I miss Mom, I will be okay and so will my kids. I turn 41 this year, and the older I get, the more I continue to realize my happiness is more important than living up to others’ expectations or their acceptance. The older I get and the more distance I keep, this gets easier. Like the next person, I just want to be happy and I want that happiness on my own terms. My teenager turns 17 in a month. Where did the time go? And as much as he drives me crazy and as much as I can’t wait for him to grow up and mature, I am struggling with what that means. In 2016, life changed me and my ideals drastically. It broke my heart and made my soul ache. I couldn’t fight or resist the change. I just had to learn to accept it and let things go. Sometimes, all this change and loss brought me to my knees, but it also reminded me that I am still here. I am still here to be the parent my children need and deserve, to be happy, to be loved, to love, and to live life on my terms. Things change and life changes us. We also change. I know I have. I also know we cannot do a single thing to stop change or slow it down, as I learned this year. We just have to accept life and change as they come and hope for the best. A co-worker of mine recently said goodbye to her 18 year old son for six months, as he went off to National Guard boot camp. While I know she is proud of him, I know it cannot be easy having your child leave home for the first time. My teenage son is only two years younger and while I don’t think he will be leaving home at 18, as his plans are to go to school and live at home, I still wonder what the world has in store for him. Less than two years, he will be an adult and I wonder if I taught him enough that he can survive the current cruel world we live in. Times have changed. College is expensive. Jobs are hard to get. Young adults graduate with debt. There is more evil and hate in the world than ever before. And he really isn’t an all American kid. I raised an American Muslim child who sees the world more innocently than I do or ever did. I raised him to be tolerant in an environment that isn’t necessarily tolerant of differences. I raised him to be strong even though I was and continue to be a hovering mother. I taught him the importance of independence and I tell him every day never to rely on anyone while making sure his needs are met. Despite my examples, it scares me the type of world he is becoming an adult in, one where people associate faith with evil. And I have learned a lot of from him as well. He reminds me to be kind even when there is cruelty. He tells me to forgive even when I have been terribly hurt. He is a big old teddy bear, hovering over me by at least six inches and he is getting taller. I have to look up to talk to him, and I don’t always see a child in front of me. I think being raised by a single mother makes a young man softer, kinder, smarter, and more accepting of the world. I pray that he has picked up on my strength, my willpower and determination. I know that he sees how hard I work to keep a roof over his and his brother’s heads, but I don’t know if he is prepared the real world – the one that is unfair, unkind, and sometimes intolerant. What I do I want him to know as he ventures out there in the world? How do I prepare him? Do I just pray that the values I instilled in him help him to be the person he needs and wants to be? And how in the heck do I prepare him for the cruel world out there? There are so many things I really hope he understands as he makes his way in adulthood. Maybe he already does or he doesn’t but I am trying my best to make sure he survives out there. Because from a mother’s perspective, the world sometimes seems like a zombie apocalypse. Here are five things I hope he understands as he makes his way into the real world. This generation of children has been told that there are no losers and that we are all winners. The sad reality is that in real life there are losers and not everyone is a winner. And there is plenty of unfairness. People get their way in life because of who they are and what they are have, and sometimes, no matter how hard you work, it might not matter. It is just the way life is. Everyone experiences unfairness at some point. And bad things happen to all of us – things that make us feel that life is harsh and very unfair – death, divorce, breakups, illness, job loss, etc. Unfairness has no prejudice, as no one is spared. And it doesn’t mean you should give up trying. You grieve, grin and bear it and move forward. I read this line in an article somewhere: “Being Middle Eastern is the new being black.” It seems like it has been the case since the September 11, 2001 attacks on our country. A bunch of crazies professing they are Muslims (i.e. ISIS or Al-Qaeda or whomever) have decided they speak for all of Islam. And every time there is some act committed by a crazy Muslim, the entire faith has to apologize. Christianity doesn’t apologize for the KKK or crazies like Timothy McVeigh so why should all Muslims have to apologize for ISIS and the attack on an Orlando nightclub by some lunatic professing his allegiance to ISIS and some other radical group. Yea, there is evil out there and I have to have to explain to my children that these people are not Muslims. They are killing innocent people, including Muslims. I have to tell my teenage son to be careful out there anytime one of these so-called crazy Muslims commits some horrific act and that people will judge and be hateful and that scares me as a mother. It scares me that it will get worse before it gets better. And he is oblivious to all this right now and that scares me even more. There are good and kind people in this world. They preach kindness and not hate. They won’t judge him because of his faith or because of his background. I want him to be one of those good people. I want to accept everyone despite their differences. I want him to help others less fortunate and stand with goodness and against cruelty. I want him to never look down at anyone unless he is helping them up. The older I get the more I realize how important it is not to care what people think, even family. It took me 40 years and a lot of heartache to figure this one out and I hope he figures it out much quicker than I did. I hope he learns that it is okay to be different and that others don’t like him or his choices. He shouldn’t get worked up or feel hurt or try to change for anyone. He should be himself and do what makes him happy and that those that truly love him will accept him no matter what. I know I will. Teenagers generally struggle with the idea that their parents and the world owe them. I guess it is a teenage thing and the sooner they outgrow this idea, the better. Although, some people never outgrow this. You have to work for what you want because no one will ever hand you anything on a silver platter. He has watched me work two jobs for at the last seven years trying to give him and his brother a good life. I don’t believe anyone owes me anything and I pray that my teenager learns from my example. And failure can also come with hard work and I hope that he understands that success does too. We just have to keep trying, be brave, take risks and put ourselves out there if we expect to get anything out of life. As I said before, when it comes to my children, I often see the world as a zombie apocalypse. I can only protect them for so long before it is time for them to do that for themselves. I have pray that I am teaching them all the things and giving them all the tools to make it out there in the world. Because they will venture out whether I am ready or not. I am Not Superwoman But I Got This! Nope. I am not. I have no superpowers. No super speed or strength and I sure I can’t fly. I am not superhuman. I am not Superwoman but yet, I am determined to be her. I sometimes forget that I am only human and not capable of doing it all. Maybe, once I did, but not anymore. I can’t spend a long day at work, come home to cook dinner, and then clean. I can’t spend a Saturday shopping, cleaning, doing laundry and everything else in between. Once upon a time, I could but I no longer can. Why do I keep trying to convince myself I can? Why do I keep doing it? Why do I think I can? Because I did. I used to. And those feelings nag at and stay with me. I used to be able to carry 3 or 4 heavy cloth shopping bags and not even think about how heavy they were. Now, I am lucky I can carry one. But I used to carry 3 or 4! And if I could do it before, why can’t I anymore? Because that was before chronic illness and pain dominated my life. In a couple hours, it will be a New Year. With that said, most have started to think about what we are leaving behind and setting resolutions for the upcoming year. I definitely have pondered what I am leaving behind and what I am looking forward to. 2015 was a major year of growth for me. I struggled to remove a lot of toxicity from my life. I felt the urge to reboot, to start over, and stop putting up with crap and living life on my own terms. It didn’t come easy and I had obstacles and people in my way. But I was tired of what people put me through and what was expected of me. I started to see myself without insecurity and the burdens that had been for many years placed on me. I finally decided that I had to see myself as the person that God sees me as – pure, simple, and good. I choose to forgive and I did. I didn’t ask for or want forgiveness. The Universe forced my hand and I had to decide whether I would continue to suffer and struggle or to find my own way. It was God that I reached to in my darkest hour. I saw my advantage. The Almighty had never given up on me. He was there when I was on my knees praying and even when I was wasn’t. For once, I choose to be the woman God wants me to be. I also choose to be grateful and focused on what was important. And I struggled, and I had set backs but I kept going even when there were obstacles. In 2015, I also elected to be less self-sacrificing and a little selfless. I may not be where I want to be or where I expect to be but I am where I need to be. I am Mom to two amazing boys and I wouldn’t trade that for anything. I am doing well in my career and I have had published well over 125 chronic illness articles and five guides about living with illness. I am still working on that work of fiction but paying bills takes precedent. I am keeping an open mind about love and I am working on being the best version of me. And I am going to continue to do just that. I took a leap a faith today. I don’t know what is going to happen but it was out of my character. I am glad I did it and regardless of the result, I won’t have regrets. I don’t know what 2016 has in store for me but I am going to continue to focus on my life and my children’s lives. I am going to continue to keep toxic people out of our lives and to keep living life on my terms. I am tired of trying to make everyone happy. I deserve to be happy and I am focused on that from this point forward. Happy New Year and hopefully 2016 is filled with much happiness, good health and kind people, for all of you. Most of us didn’t choose to be single moms but it happened. Either because someone walked away, broke vows, and/or physically harmed us. No matter how we got here, we never dreamed of being single moms when we were little girls. I didn’t choose this. I envisioned marrying the right person and staying happily married forever. But I ended up doing it alone and often muddling along trying to figure it out. Like so many of you, I have found myself at my breaking point at times so I am not going to tell you have to enjoy every minute of this chaos. You don’t have to and it is not for me to tell you it could get easier, but sometimes, it does, and sometimes, it doesn’t. I am not even going to tell you to hold it together because I already know you can. I also know there are times when you can’t. You put on a happy face even when feels like you have nothing left to give. Guess what! You are allowed to crumble. You are allowed to cry. You are allowed to curse. And you are even allowed to scream. Not all the time, but sometimes, and just for a little while. You are allowed to be stressed about making the rent on time, especially after that unexpected car repair bill or the month when the daycare bill is higher because school is out of session. You are allowed to feel sad when all you want is a break from the world. You are allowed to feel like you need a break from your kids – the very kids you love more than your own life. The truth is moms – whether we are single moms or not –all fall apart sometimes. Even when we try our best not to. There are times when no matter how much we are trying to hold it together, it seems we are falling harder. So, we have to let go. We have to feel pain and fear and let go of expectations. When your teenager is driving you insane for no reason at all. When your seven year old is throwing a fit because his father didn’t show. When your family or friends are mad because you can’t spend time with them due to working two jobs. When your job needs you and you don’t have childcare for your sick child. It is okay to fall apart. Stop telling yourself you will push through, that you have to be stronger, that you shouldn’t cry, that you are not trying hard enough, or that you somehow are required to make it work. Stop demanding such high expectations of yourself. You are only human. Sometimes, everything is a mess and you are trapped in a place you can’t escape and there is not a damn thing you can do about it. Sometimes, you handle stress by smoking or drinking an extra glass of wine. Other times, you handle stress in ways that don’t make sense to anyone but you. It is okay. I have been there and I get it. Sometimes, I can’t seem to get a minute, an hour, a day, or even a week that is going right. Everything seems so impossible. Today is one of those days for me. My mind is full and my heart is empty. Ladies, motherhood is not for the weak and all the things that go with it, come in waves and sometimes, those waves crash harder than you ever expected. And single motherhood – that is a whole new level of intensity. You are alone to bear the burden of the battered shore. So, go ahead, crumble, fall apart and feel your pain. You will still be there in tact when the storm is over – I promise you that. You don’t have to hold on to that pain or hide it. Allow yourself to fall as far as you can even if it is the bottom of a f*cking bottomless pit. Sometimes, we get so tied down doing everything for everyone and considering everyone’s feelings that we forget we are human. We forget we are allowed to feel things and fall apart because we are trying to hold everyone else up. Meanwhile, no one is holding us up. The thing about single mothers is that we have learned to stand successfully on our own two feet but so often, we stand alone. But having to be Mom and Dad to our kids doesn’t mean we have to be perfect. We are allowed to cry, break, crumble or wish we were anywhere but here. It is okay to fall and fail and learn from our mistakes. Because if we don’t do just that, we can’t move forward. There is light at the end of the tunnel and the longer you do this, it gets easier to deal with the stress and frustration. And there are still good moments even while you are struggling to find your footing. My living room floor is often impossible to find because of all the toys that often inhabit it. I have stepped on Legos and I found myself uttering four letter words. I have been awoken from deep sleep by a crying child and I have been thrown up on and pooped on. And I have been told by a teenager that I know nothing or that he hates me. But I keep going and when I can’t keep going, I break down. There is clothes in my closet that I’d like to fit me again but that probably won’t happen because my hips are proof I gave life to my children. And I can’t let that worry consume me when I am trying to raise my boys right and while I am trying to make ends meet. In my home, there is yelling, fighting, crying and losing it all before 8 am. I have cleaned up drawings off the walls of my modest home and I have done it hyped up one at least on pot of coffee – and with creamer that isn’t even fat-free. My bed is soft and comfortable but it isn’t mine alone. I often wake up to a foot in my face – or in my back or my neck. There is curiosity the minute we walk in the front door and rebellion more often than I want to believe. Exhaustion is my normal but it is also a reminder of all the gifts in of my life. There are often smudged windows and stray socks and shoes no one can find. New clothes and shoes, haircuts, and loose teeth are a reminder they are healthy and continue to grow. It is disbelief and pride all in one. I am overwhelmed and unhinged especially between the dandelions I receive and the mud on my kitchen floor. My life is tiring and complex but it is where it is supposed to be. And the meltdowns are plenty and allowed. I know it is okay to let the rain fall and allow the storm to pass. Sometimes, you just have to crash and burn so you can rise from the flames. You will come out better, stronger and more appreciative of your loved ones. To every single mother trying to keep it together, you don’t always have to. This marks the sixth year without my brother around for Thanksgiving. Six years ago, on Thanksgiving, he was in a hospital after being diagnosed with cancer. Less than a month later, we lost him. I obviously don’t want you to start out your Thanksgiving with a grim story about my brother but be patient, I am about to share just how thankful I am for the last few years. While I am miss my brother and I hate that this is the sixth Thanksgiving without him, I am grateful for everything that has happened since his death. I am thankful because I knew someone so kind and wonderful. I am thankful that I ended a bad marriage and learned to stand on my own two feet. I am thankful for two very happy and healthy children. I am thankful for my health, even though it is not as great as I would like it be. It is better than I expected after almost 8 years living with RA and fibromyalgia. I am thankful to be employed at a job I love and to work for two great people. I am thankful for the people that supported my emotional health after my brother died. I am thankful for the wisdom I have gained over the past several years. I am thankful to be turning 40 next month. I am thankful that my mother is still around. I am thankful for my belief in the Almighty. I am thankful that there is still good in this world despite all the bad. Mostly, I am thankful because my brother didn’t care for Thanksgiving and hated turkey, because it makes me smile at his memory. Tomorrow, I am going to make a roast in his honor because that is what he would have eaten for Thanksgiving if he were alive. I am also thankful for all of you! Have a safe and happy holiday season! 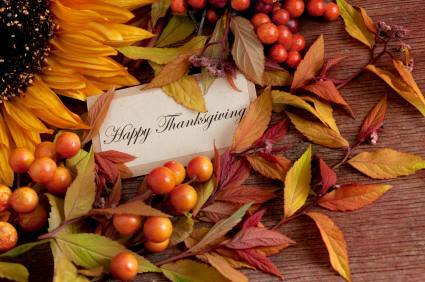 Please share all the things you are thankful for this holiday season. My 40th birthday is coming up here real soon, about a month and a half away. The older I get, the more I see my life is something to be celebrated. I triumphed through some of the most difficult circumstances and looking back, I am choosing not to have regrets. I have tried to be a good mother, daughter, sibling and friend. I have tried to be someone’s wife twice. I have tried my best, and sometimes, my best wasn’t enough. And I accept that. I am thankful that I am an imperfect woman. I am not trying to be someone I am not. Not anymore. I am learning that I have to be real and I do that by being as real as I can be. I am who I am and I can’t change my experiences. I can only look to the future and continue to do the best I can. I am in an imperfect woman and I embrace that. I used to think that my imperfections were a bad thing, but the older I get the more I realize that it is okay to imperfect. Being imperfect means I try harder every single day to be a better version of myself. And I continue to be a work in progress. I am a mother, legal assistant, patient advocate, freelance writer and frustrated novelist. I am other things to other people but these are the things I am to myself. I am a mother first and my kids are my world. I wish I could have more kids or that my life had turned out different but it didn’t and I am learning to be okay with that. There is no Prince Charming in my life because I don’t believe in princes and fairy tales. If there is a weird prince out there for me, he’s probably as confused as I am. He is probably not going to ride in on his white horse because he’s probably stuck in a tree somewhere and I’ll have to rescue him when I least expect it. But that is fine because I am perfectly imperfect and he is in the same predicament. Often I say I am tired of being in the business of saving people but I do it time and time again and there will always be someone to rescue. Because that is how I am hardwired. I am a sucker for people who need help. And chances are, I will save Prince Imperfect from that tree without fire department assistance. I don’t feel like I need rescuing but I wish someone would save me from spilling my coffee all over the living room carpet. I do it more than once a week and I am constantly cleaning up my own mess. Although, secretly I wish a shirtless Channing Tatum would clean the carpet for me while I put my feet up or take a nap. Actually, he might as well wear a shirt. I love to laugh and be silly and I have one heck of a wicked and crazy sense of humor. I am straightforward person who has to bite her tongue because if I don’t, I piss a lot of people off. I don’t always trust and with good reason, and it takes a lot to trust for me. So, if I ever trust you, please know how hard that is. I am faithful and loyal and I continue to be even when I have been hurt, and I definitely keep secrets even for people who haven’t kept mine. I am the person who leaves money in the parking meter for the next person, or puts money when I see someone’s parking meter is going low. I am the person who stops to help when no one else does. I try to be a good person in every aspect of my life but it isn’t always easy, considering life has forced me to wary. But this me, as real as can be. People think I hold grudges but I don’t. I walk away to protect myself from getting hurt again. I burn bridges so I don’t cross them again. I don’t look back. When I have looked back, it has only cost me to get hurt again. The older I get the less I choose to wear my heart on my sleeve. I used to but it forced me to let people in who I wanted to believe wouldn’t hurt me. I am learning that if people can only fool you twice; after that, you are a willing participant. I see myself as nerdy. I don’t wear glasses anymore. It’s been contacts for the last two years but I am still a big ol’ geek. I love reading and writing and visiting museums and places of history. I love nature and all nature has to offer. Fall is my favorite season and I keep telling people I am going to move some place warm but I know I will never leave Ohio. I am not a morning person and I am usually grouchy until I have had my coffee. I am grouchy when I am tired and when I am hungry. I am driven and I work hard, but sometimes, I forget to stop and smell the roses, and I really wish someone would remind me to. I pride myself on how strong I am, but secretly, I wish someone else would take the lead. I worry a lot and sometimes for no reason at all. But that is who I am, and I am as real as can be. I have faith and I believe in God. God reminds me every day that everything is possible even when it seems impossible. I struggle with my faith and I worry that I am not enough for God and my faith. I am learning that this one has a lot more to do with my experiences than anything else, and I am trying to be better and to let go of the past, and focus on the present and future. I cry at the drop of a hat, even watching commercials on TV. I stay away from the news, but when I don’t, there better be a full box of Kleenex nearby. And because I am geeky, I watch science fiction shows and no matter how gruesome the Walking Dead is, I don’t miss an episode. I love anything to do with the supernatural, zombies, werewolves, and especially vampires. Sometimes, I wonder if some people are actually real life vampires. Specific people, actually. Yea, I have a wild imagination. After a long, tiring day, sometimes, I just want to sit down and do nothing. I think I am an awful cook and sometimes, I burn dinner, but sometimes I don’t. Secretly, I am great cook, but I don’t have a lot of time on my hands so I tell people I can’t cook. Don’t tell anyone but I dream about being Rachel Ray. Sometimes, I am too tired to load the dishwasher but then I wake up in the middle of the night, and remember there is a sink full of dishes, and then, I get up to load the dishwasher. I am notorious for second guessing myself and I wish there was someone to help me to stop. But this is me, real and imperfect at the same time. I will never be able to balance my check and I think that the banking industry has some conspiracy against those of us who lack basic accounting capabilities. I know it is not true but it makes me feel better to think it is. I don’t always feel good enough for or that give enough in my relationships. Mostly, I just want to be reminded that I am enough. I am not perfect but I am as real as they come. 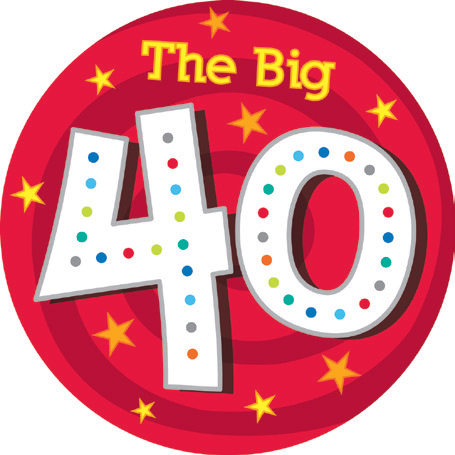 And here I am, embarking on the big 4-0. Let’s see what 40 has in store for me. Nutritionist Resource is a UK based website that offers a vast amount of information and resources about nutrition. Despite its location, it is a valuable resource for everyone about all things nutrition without all the medical jargon. I was contacted to share the site’s Fibromyalgia section with my readers. Having written my own fibromyalgia lifestyle guide, I appreciate the vast amount of information available at Nutritionist Resource on fibromyalgia. Of relevance is the sections on diet and how a nutritionist can help you. Also, please take a look at the Share your story link, and take the time to share your experiences if you have worked with a nutritionist in the past or currently do. Check out the stories others have shared. Other great topics on Nutritionist Resource include nutrition related to cancer, anemia, chronic fatigue, stress and women’s nutrition, to name a few. Take a look at the recent news section for information on variety of nutrition topics, including food cravings, portion sizes, shopping lists, and so much more. Last, don’t forget to check out the expert section of this site. It turned out to be one of my favorite sections, as I love hearing from people who either are living with health conditions and making healthy choices or those that work with others to help them create and manage a healthy lifestyle. Overall, great resource for fibromyalgia and other chronic conditions. And if you don’t know what nutritionists do, there is a FAQs page to here you out. As I sit here on this rainy, cold, fall Saturday morning, I am thinking about where my life is now. And I realize something very important. I am not the scared girl I was 21 years ago. I always had a rebellious side. I always wanted to be someone that I was told I couldn’t be but when it came down to it all, I did what was expected. Do I regret doing what my family wanted? For a long time, I thought I did but for all the wrong turns my life, I am still right where I need to be. See, if not for those obstacles, I wouldn’t be the woman I am today – strong, successful, determined, capable, and flexible but as stubborn as ever. I have spent a lot of my life struggling to do what is expected of me especially when that is not what I wanted for my life. In hindsight, I never expected the lessons that came with life. August would have been 21 years since I married my first husband. I sometimes I feel like the men I married took away 21 years of my life I can’t get back because neither marriage was good for me – especially for my emotional health. But then I remember what I got out of those marriages. I got my kids, and then, I realize that all my regrets don’t really matter. At the time I was thinking about leaving my second husband, I was struggling with my chronic illness diagnoses, my brother’s illness, and then his death. Shortly after, my mother had a stroke and I was taking care of her. Then one day, I woke up and I realized how severely depressed I was. Depression was far worse than anything I had ever endured. It was lonely and scary, but somehow, though the grace of God, I made my way out of the darkest hole I had ever found myself in. With therapy and medication, I find a part of me that for so long missing. The strong me – the “me” that hated defeat, that didn’t need acceptance, and the one that felt enough for herself and for God, and didn’t need to be for anyone else. Sometimes, I would love to go back to a time when it was just me, young and not stuck in my life but seriously, that was 21 years ago and 2 husbands ago. I will never be that girl again and while looking back is bittersweet, I wouldn’t trade that girl for the woman am I today (although I wish I had her health). I recently spoke to a former teacher of mine who was not the least bit surprised how much I have overcome. He said that he always knew that I had it in me to rise above and make the best of difficult situations. He reminded me that in the end I am still me, just all grown up and upgraded. The truth is, I just took the long road to get to where I am today. I have struggled to get here and I have questioned myself, God, and my faith many times. I still struggle, have setbacks where I second guess myself, and I still struggle with my God and my faith. The only difference is I don’t struggle for as long. I don’t second guess myself as often, and I don’t let people get into my head. And while sometimes, I wonder where God is I still lean towards Him especially during hard times. The reason that I have changed is because I have learned to know who I am, what I stand for, and mostly that I am enough. I will never be the girl I was 21 years ago and 2 husbands ago and I accept that. And for all the times I have wondered where God was when I struggled and fell, he was right there by my side lifting me up. How else would I have gotten up? I don’t know what God sees in me but He sees something, and He has made me believe that everything is possible, especially when I believe in Him and myself. I spent a lot of my life trying to be accepted by others. I have taken blame for things I didn’t do by simply not responding or defending myself. I have forgiven even when I have been hurt so badly. I have learned that I have to forgive if I expect to be forgiven. I have given people help that turned around and stabbed me in the back, or that forgot my constant kindness no matter how many times they hurt me. In those moments, I question my choices and then I remember that the reason that I bounce back from setbacks is because of the person I am, and that is what God sees. He sees me hurting, struggling, stumbling but trying even when I have nothing left to give. But He also sees something in me that I don’t see. I don’t know what that is, but who am I to question the Almighty? I am not the girl I was 21 years ago, or the woman I was 5 years ago. Both were weak, self-sacrificing in the name of acceptance and thought that people cared about their tears. But I was sadly mistaken. The girl I once was grew up and while she is still willing to help others, she is cautious and no longer lets anyone in. She kept secrets for others, even though they didn’t keep hers. The people she thought she could trust with her secrets reminded her that no one can be trusted, and that her secrets should be kept to herself. She now bares little no resemblance to the girl from 21 years ago and 2 husbands ago. She is gone and you know what, the woman she became, she is done looking behind her, and she is focusing on looking forward. The past is the past for a reason, right?